Internationally recognized outdoor retailer L.L.Bean, best known for its Bean Boot, and legendary customer service continues its national retail expansion with the announcement of a new retail store in New Haven, Connecticut, scheduled to open the summer of 2018. The L.L.Bean store will be located at The Shops at Yale, featuring a blend of stores, boutiques, award-winning restaurants, museums, events, concerts and more. The nearly 9,000 square-foot, two-level store will feature an assortment of active and casual apparel and footwear, as well as a variety of outdoor lifestyle gear. The store will employ approximately 60 people and will exist as a community outdoor resource for high-quality gear and apparel, as well as technical expertise and knowhow. This will be L.L.Bean’s 36th retail store outside of Maine. As part of its overall national retail expansion plan, L.L.Bean made the decision to continue to expand its presence into Connecticut due to the store’s proximity to several abundant natural resources and multiple opportunities for many outdoor activities, a population base that not only enjoys regularly engaging in a variety of outdoor pursuits, but one that also has a high-degree of awareness of and affinity for L.L.Bean. The store will allow the people of greater New Haven and beyond to experience first-hand everything the legendary outdoor retailer offers: quality merchandise, exemplary customer service, a welcoming shopping environment and an ethos to always do what’s right by its customers, employees, the environment, and the community. L.L.Bean also operates full retail stores in Danbury and South Windsor as well as an outlet store in Orange. Of particular note will be the inclusion of L.L.Bean’s Outdoor Discovery Schools, which will offer demonstrations, clinics and introductory hands-on courses for a variety of outdoor activities, all designed to make it easy for people to engage in outdoor recreation for health, fitness, and recreation. L.L.Bean Outdoor Discovery Schools’ courses are offered at every L.L.Bean Retail Store. In 2016, over 150,000 people participated in these programs. 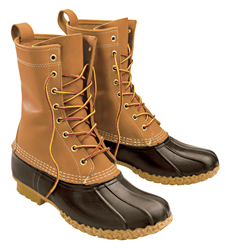 L.L.Bean, Inc. is a leading multichannel merchant of quality outdoor gear and apparel. Founded in 1912 by Leon Leonwood Bean, the company began as a one-room operation selling a single product, the Maine Hunting Shoe. Still family owned, Shawn Gorman, great grandson of Leon Leonwood Bean, was named Chairman of the Board of Directors in 2013. While its business has grown over the years, L.L.Bean continues to uphold the values of its founder, including his dedication to quality, customer service and a love of the outdoors. In the past five years, L.L.Bean has donated over $6 million toward conservation and land stewardship. L.L.Bean operates 34 stores in 16 states across the United States, along with 25 stores in Japan. The 220,000-sq. ft. L.L.Bean retail store campus in Freeport, ME, is open 24 hours a day, 365 days a year and welcomes more than 3 million visitors every year. 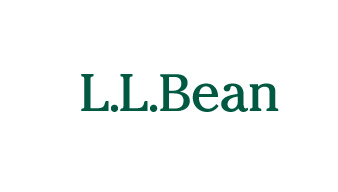 L.L.Bean can be found worldwide at http://www.llbean.com, Facebook, Twitter, YouTube, Pinterest, Google+ and Instagram.